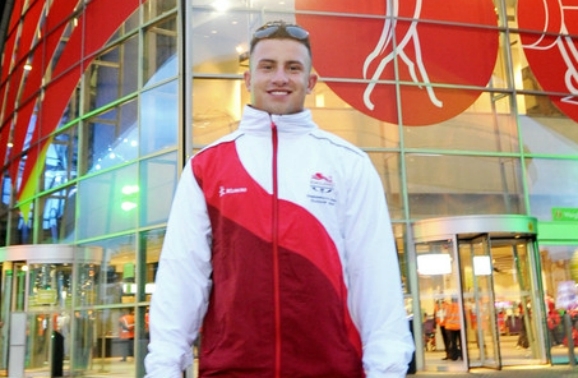 FORMER Ivybridge Community College pupil Sonny Webster has been selected as Great Britain’s sole male weightlifting representative for this summer’s Olympic Games in Rio. Webster’s selection comes after his success at the British Championships where he set a new under-23 record to beat his big rival Owen Boxall. The 22-year-old, who trains at a performance centre in Bristol, is joined in the GB team by Keighley-born 17-year-old Rebekah Tiler, who has been selected ahead of the injured Zoe Smith as Britain’s only female representative. Webster, who competed at the 2014 Commonwealth Games, said: “The Olympics is undoubtedly the biggest stage for the sport and to be given the opportunity to represent my country in Rio this summer is something I’m incredibly proud of. Team GB’s chef de mission Mark England said: “I want to congratulate Rebekah and Sonny on being chosen to represent Team GB at this summer’s Olympic Games. “Both athletes are young and have shown a huge amount of promise in the last few years and I hope to see that continue in Brazil. GB weightlifting team leader Tommy Yule added: “I’m very proud of both Rebekah and Sonny and their efforts in getting selected to represent Team GB in Rio this summer. “Both have been progressing really well; Rebekah winning senior medals both at the Europeans in April and last month’s British Championships, and Sonny also setting new British under-23 records and achieving personal bests in what was the final competition before the Games. Webster got into weightlifting through former Olympian Michaela Breeze, who was a teacher at Ivybridge Community College.